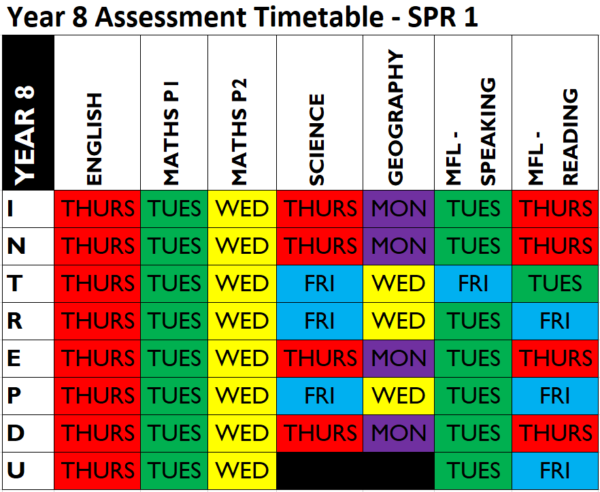 The spring 1 assessment week takes place from Monday 4th February to Friday 8th February for years 7 to 11. 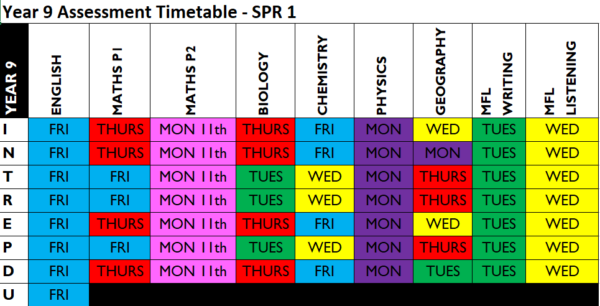 Timetables are provided below for student and parent reference. 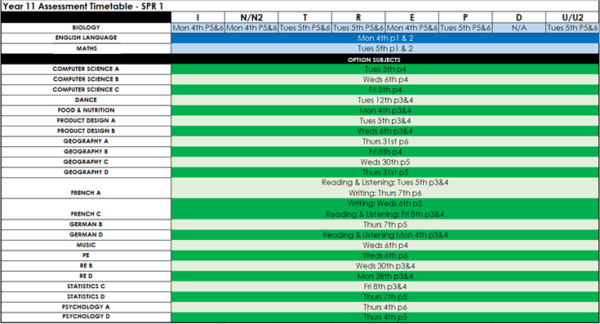 A reminder that Year 11 Progress Meetings take place this week too, from 4.30pm to 7.30pm on Thursday 7th February.